Despite their titles, the significance and wealth of the royal family members is ordinary people who also get into awkward situations. Why the Queen was not recognized by the guard, how Prince Charles fell asleep at the races and why Kate Middleton bared her legs - we have collected ten amusing incidents from the life of the royal family! 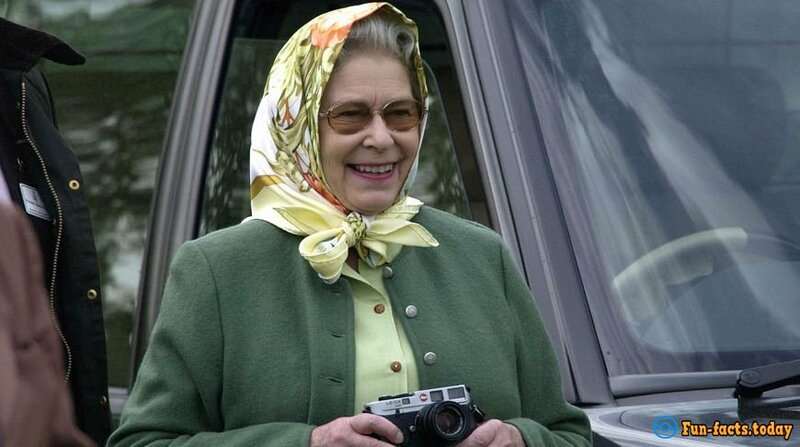 Hats of Queen will never go unnoticed because she can perfectly pick up accessories. But, perhaps, never in the history, the Queen's hat was as popular as in 1991. Then the monarch was on the official visit to the United States for a speech with George W. Bush. 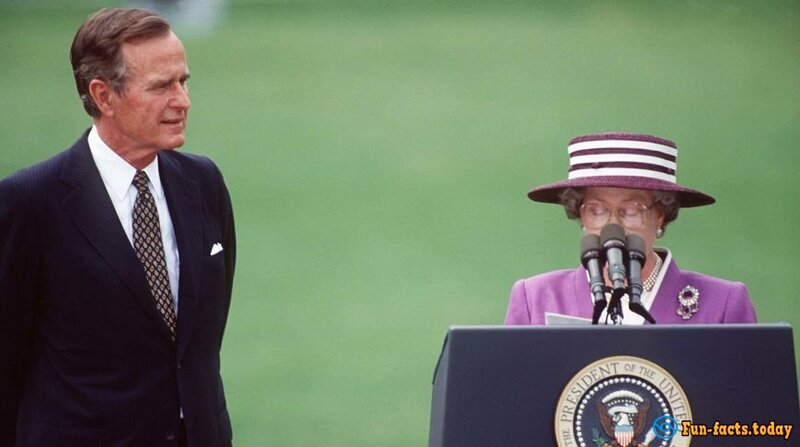 It was assumed that the United States president should lower the microphone, as the Queen is not very tall. But Bush forgot to do it, and eventually, Queen's face was completely covered with microphones, and above them raised only a hat. The case went down in history under the title "Talking Hat." Despite the fact that the monarch is the most important person in the United Kingdom, some residents of the UK may not even know how she looks. And he does not grieve about it. The proof is the incident that occurred in 1991 at the races Royal Windsor Horse Show. When the queen tried to go to the event, one of the guards told her: "I'm sorry, but you cannot go without a bracelet." Elizabeth II did not get angry and asked him to find her on the list. Later, the guard admitted that he accepted the monarch of the United Kingdom for just an old lady. 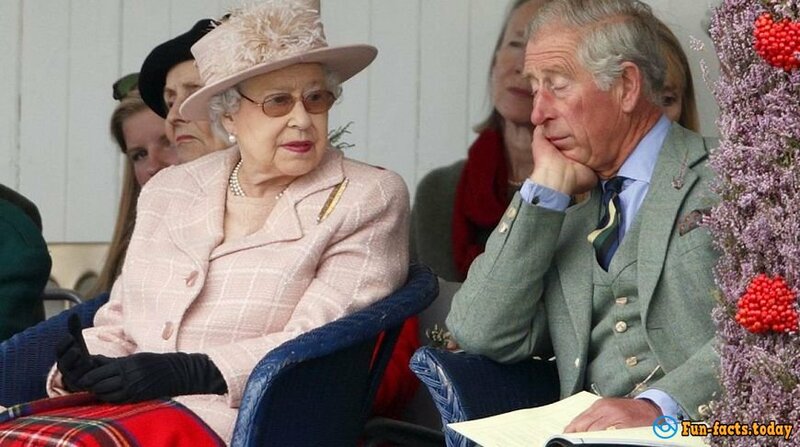 Unlike the Queen, who loves to happen on the race, Prince Charles often falls asleep at such events. Sources close to the royal family, say that sometimes it takes a few minutes to wake the prince. Kate Middleton - recognized style icon: she always looks flawless on the public. But even with her wardrobe sometimes occurs contingency. So, in April of this year, during the visit of William and Kate in India, the hem of the dress of the Duchess rose by a gust of wind, exposing her legs. Now Prince Harry rescues crocodiles in Africa, fighting against AIDS and is actively involved in charity work. But there was a time when a young member of the royal family all the time devoted to parties. Moreover, his tricks were shocking for prudish Britain. 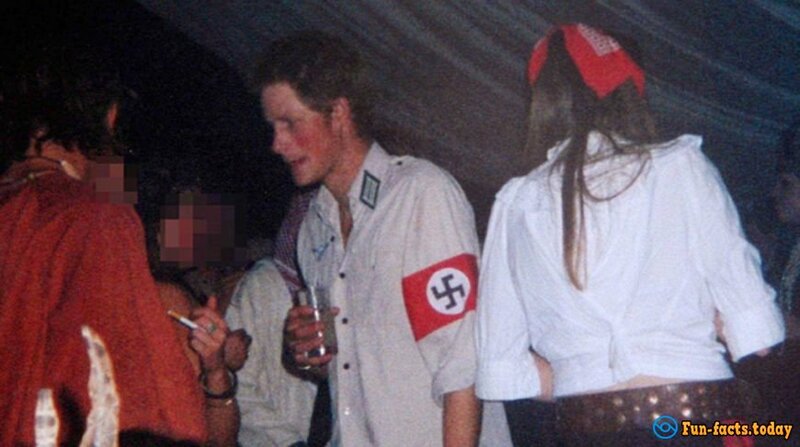 In costume event on the occasion of a friend's birthday, Harry came in a suit with Nazi symbols, not thinking about the possible consequences. The British were so outraged by this trick of Prince that demanded a public apology. And Harry soon did it. Son of the Duke and Duchess of Cambridge Prince George is a real favorite of the public. On formal occasions, he always manages to win everyone's attention, even if his younger sister of Princess Charlotte is near. During a recent visit to Canada, George again riveted the attention of the public. Canadian Prime Minister. 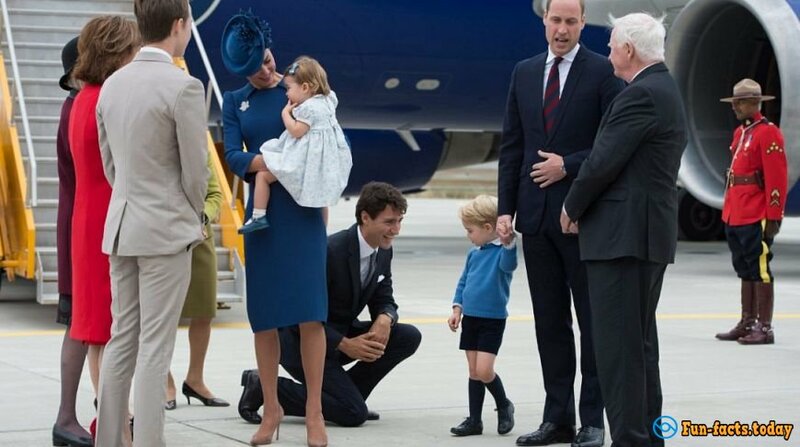 Justin Trudeau, say hello to all, dropped to one knee and held out his hand the little heir to the throne, and then offered to give "five." But George did not respond to the prime minister and just turned away from him. Fortunately, later the Prince still cheered and waved happily to Canadians. Underwater, In the Rock and In Snow: Where Is the Most Unusual Restaurant in the World?